I have to admit that driving to the Baja Californias in Mexico was a grand way to set the tone for a sea kayaking adventure, despite my initial reservations expressed in the first post of this series. We covered a lot of country, finding a reasonably balanced rhythm, in an undulating pace somewhere between pausing in space to connect here and hurtling through space to get there. For long periods, the scenery was stunning. Even so, lots of what I saw made me think about how we, as a society or a network of communities, might resolve the most complex problems of our times. 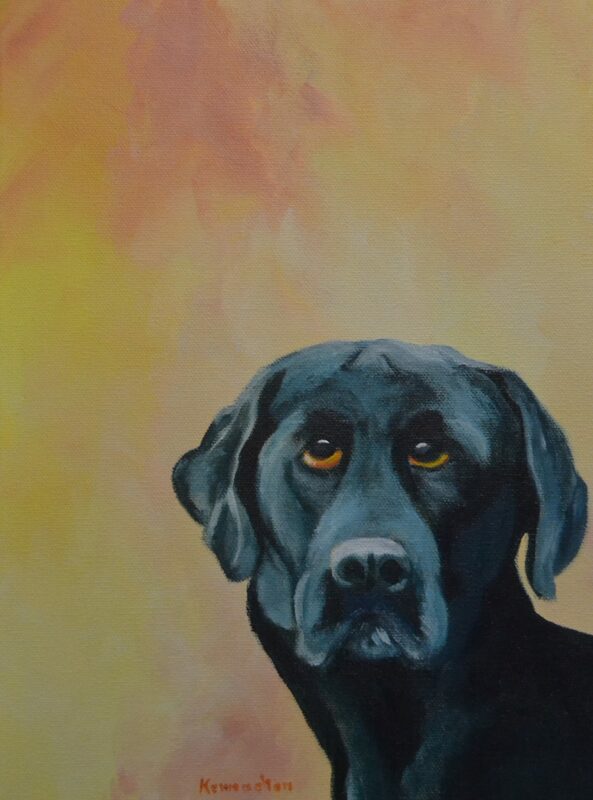 (Here I was mostly thinking about climate change related effects on our planet and loss of biodiversity, as in the winking out of species forever.) For contrast (and hope that we might learn to figure things out), all of the people that we got into conversations with were enthusiastic about life: adventures, family, friends, and community were common themes. 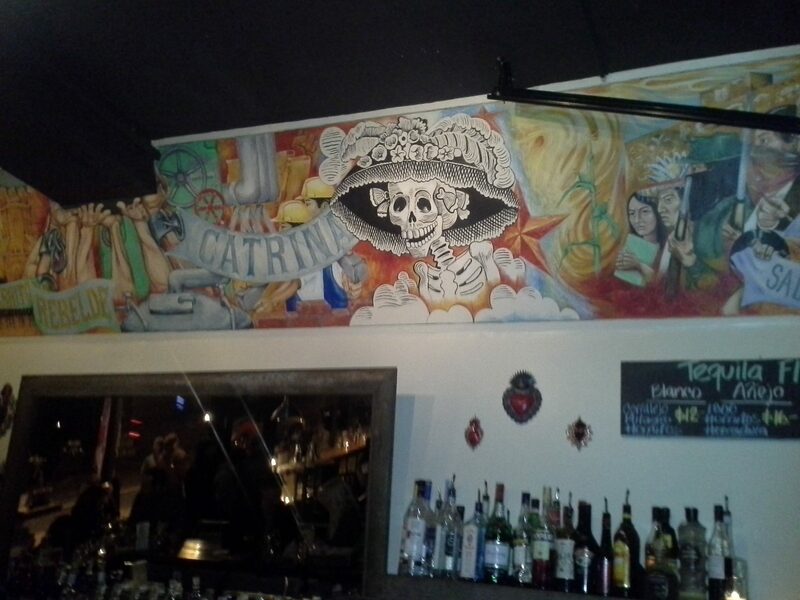 Taking a random freeway exit, we landed at Fonda la Catrina’s restaurant, an experience packed with flavours, colours, and sounds that thrilled the senses of this small-town girl. Our waitress led the way in a string of vibrant people that we met on this trip. The food set the bar for many great Mexican meals to come. 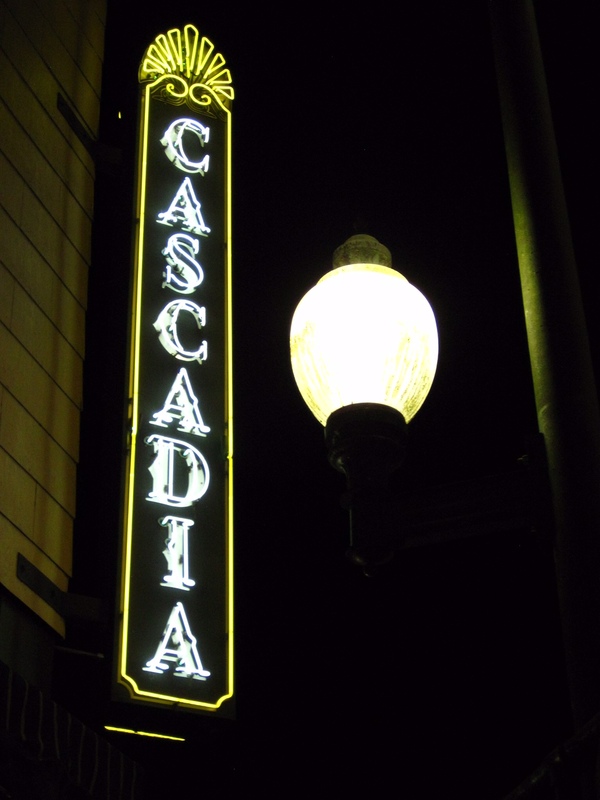 As we drove south through Washington and Oregon, I pondered the concept of Cascadia, a unified region of the Pacific Northwest. 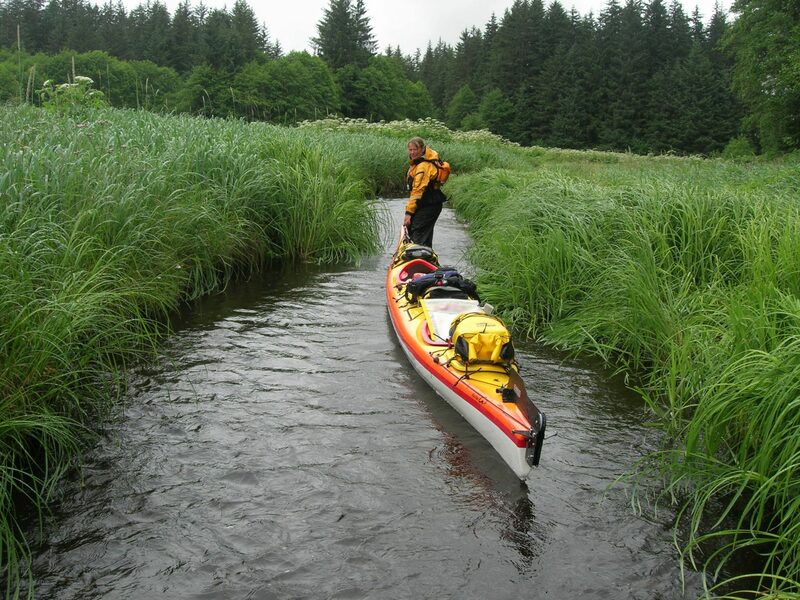 This theme also popped into my thoughts as I paddled the coasts of B.C. and Southeast Alaska. In my mind, the coastal temperate forest of these states and provinces is one. Political constructs that divide, as opposed to or in the absence of connecting, are at odds with how I connect with the land and waterways. As I travel, I see ecosystems connected within conifer forests draped in lichens, mosses, and ferns; along rivers and creeks cascading and flowing to the sea; and along intertidal ecosystems merging and bonding land with sea. I see cultural, social, and economic connections too. On previous sea kayaking trips, aboriginal men and women (Tsimshian and Tlingit) have shared stories with me about their families reconnecting across the BC–Alaska border. 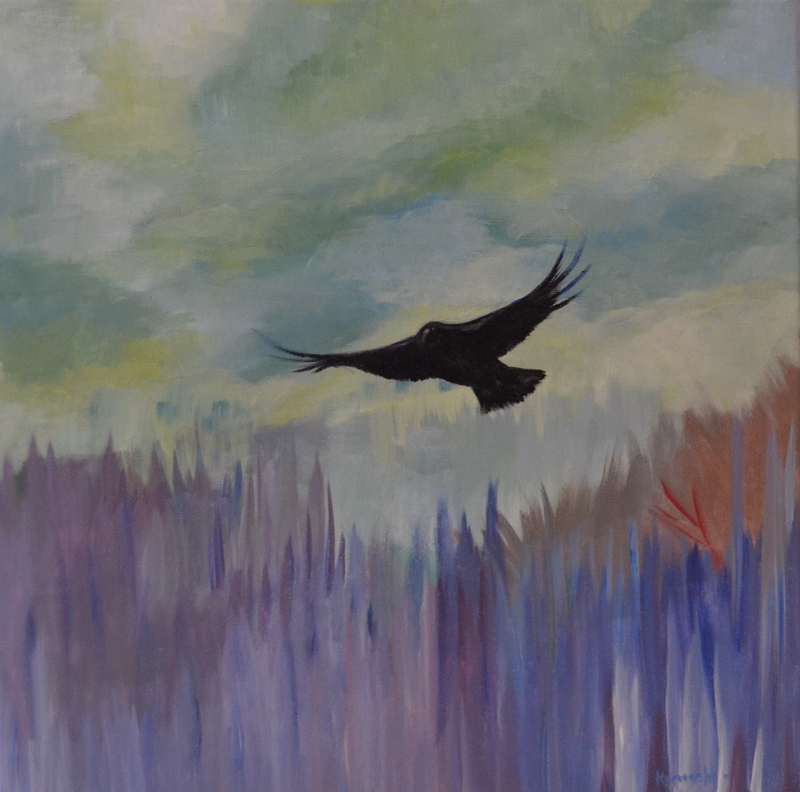 I thought about how this and the BC–Washington border might have affected the lives of families living and travelling in these areas, “since time immemorial.” I also met commercial fishermen with strong connections between Alaska, in summer, and Washington or Oregon, in winter. It’s a great deal of fun talking to them. They’re so enthusiastic about their seasonally driven nomadic lifestyle, and I can understand why. We’re designed for it. I feel it too. Yet even as a I sense belonging, language barriers compromise my connections to these lands beyond the boundaries of my native province, even though we have English in common. I have a pretty good understanding of the natural history of British Columbia. But important ecological information gets lost in translation in neighbouring jurisdictions. Sometimes, there’s no translation. That’s because there’s a major disconnect that happens when the maps that I rely on to understand and even report on the ecosystems that I travel through don’t cross political and administrative boundaries. Suddenly, I’m in terra incognita. O.k. maybe it’s not quite that bad but I find the lack of a common language particularly disappointing when I’m doing wildlife research in borderlands. Lots of animals, including bears and wolverines, are tied to massive movement program. So as we’re driving south, I’m pondering the potential negative effects that these boundaries have on our understanding of and communications about species and ecosystems and our relationships with them? I yearn for solutions that strengthen social–ecological connections with my neighbors. The lexicon that I miss most for social–ecological connections when I’m travelling in neighbouring provinces and states is the Biogeoclimatic Ecosystem Classification system and the mapping that comes with it. This system is an invaluable tool that I use in most if not all of my work (in one way or another) to learn about and understand various species and associated ecosystems. As an ecologist in training, I was steeped in this system, an interdisciplinary language. I learned the lingo from people applying the system in many disciplines or sub-disciplines: conservation biology, ecology, animal behaviour, soil science, forestry, carnivore biology, ornithology (the study of birds), and even forensic entomology (the study of insects and other arthropods in criminal investigations). I speak and write the language; I think in it. I dream of people working on the biogeoclimatic system in British Columbia teaming up with those working on ecosystems classification in neighbouring jurisdictions. I want to see more ecologists and cartographers colouring outside the lines. When Pojar and MacKinnon published “Plants of Coastal British Columbia including Washington, Oregon, and Alaska”, in 1994, it was the first plant guide to cover the northern Pacific coastal region (on right). 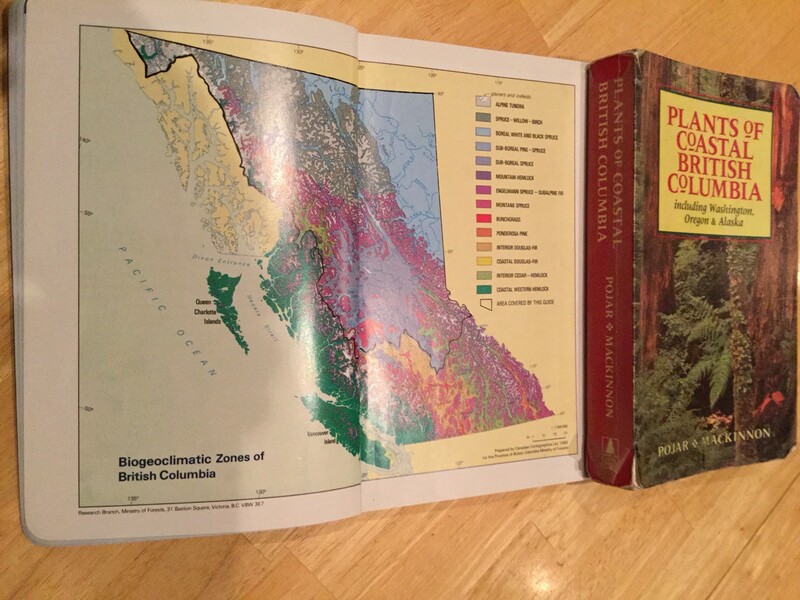 In 2004, they published a revised edition, “Plants of the Pacific Northwest Coast–Washington, Oregon, British Columbia and Alaska.” The Biogeclimatic Zones of British Columbia map (on the left) is in Plants of Northern British Columbia by MacKinnon, Pojar, and Coupe (on the left). The upside is that at there are some tools that help to bridge the ecological communications gap, such as Ecoregions of North America, produced by the Environmental Protection Agency. This classification system works at a coarse scale, a level that’s good enough on a trip like this where I’m driving 1000s of kilometers. 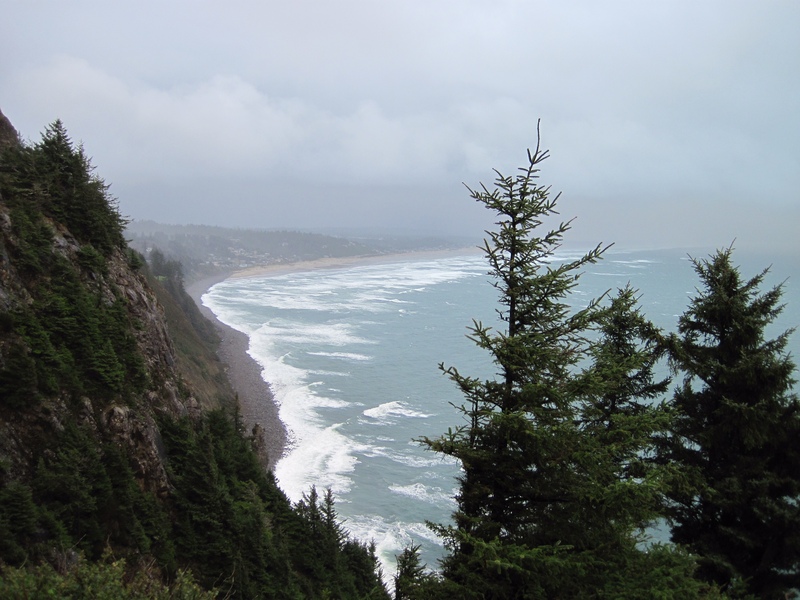 In this system, it’s clear that coastal Alaska, British Columbia, Washington, Oregon, and Northern California, belong together in an ecoregion that they call the Marine West Coast Forest. Whereas, biogeoclimatic zones, and the ecosystem units within them, work at a finer scale, the level that I perceive my environment when I’m working and recreating. The north Pacific coast of North America contains some of the most fascinating and distinctive ecosystems on earth—from majestic ancient forests to lush alpine meadows, sodden muskegs, open woodlands, dry rocky slopes and grasslands. 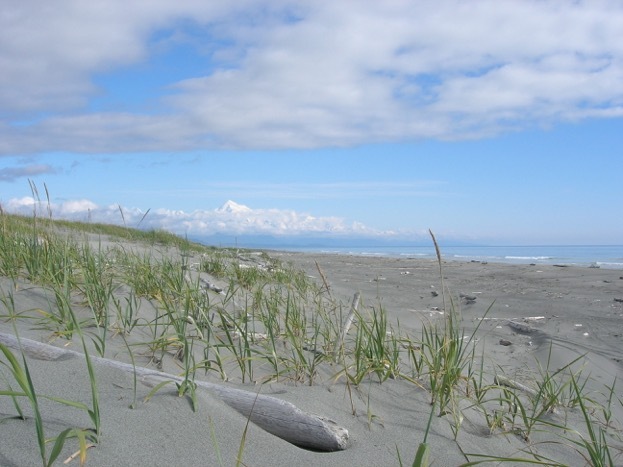 The northern Pacific Coastal region includes all of the land west of the crest of the coastal mountains, from Prince William Sound in south-central Alaska to the Oregon Coast Range and Cascades. Some of the oldest and largest tress and the most massive, highly productive ecosystems on earth can be found here. The region spans 17o of latitude, but its unified by mountains, rain, the forest, and the sea. — Pojar and MacKinnon in Plants of the Pacific Northwest Coast — Washington, Oregon, British Columbia and Alaska. They don’t call the Pacific Northwest the Wet Coast for nothing. 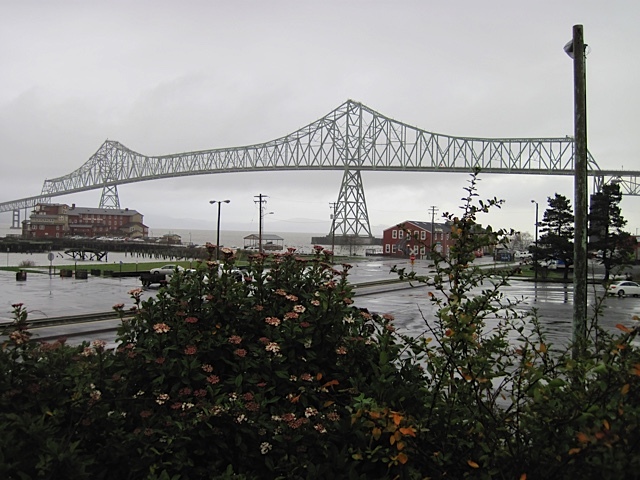 The Astoria–Megler Bridge on the mighty Columbia River is 6.6 km long, connecting Astoria, Oregon and Point Ellice, Washington, a river divided and communities connected. The coastal temperate rainforest of North America is the most extensive and impressive example of temperate rainforest in the world. On the west coast, it occurs only in the northern Pacific coastal region covered by this guide. Temperate rainforests are primarily distinguished from other temperate forests by the rarity of fire, their evergreeness, and their complex structure. Temperate forest structure is complex because of many canopy layers, a wide range of tree sizes and ages within a patch of forest, the abundance of epiphytes (plants that live on the surface of other plants, here often represented by hanging lichens, mosses, and ferns), and a dense, shrubby understory. Dominance by conifers distinguishes the North America temperate rainforests from other temperate forests of the world. — Pojar and MacKinnon Plants of the Pacific Northwest Coast — Washington, Oregon, British Columbia and Alaska. I am a big fan of the Lone Pine Publishing plant guides. I have the entire series of books that cover British Columbia: invaluable resources that are well-loved and dog-eared. When the first one, Plants of Northern British Columbia, came out in 1992 my apprenticeship in wildlife ecology suddenly got a lot easier. An outstanding view south from Neahkahnie Mountain, a major headland on the Oregon Coast: I’m pointing towards the community of Manzanita, a tourist destination, wet coast style. When I got home, I took the easy way out and I asked Jim Pojar if he could help round out my understanding of the ecosystem transition that we drove through. “The Californian floristic element that starts to show up in southern Oregon (around Coos Bay on the coast) includes tree species like redwood, incense-cedar (Libocedrus [Calocedrus] decurrens), sugar pine (Pinus lambertiana), tan-oak (Lithocarpus densiflorus), chinquapin (Castanopsis chrysophylla). Forests of interior southwestern Oregon represent a northern extension of mixed-conifer and mixed sclerophyll forest of Sierra Nevada and California Coast Ranges, respectively. Through California, I thought about the grizzly bears that were missing. 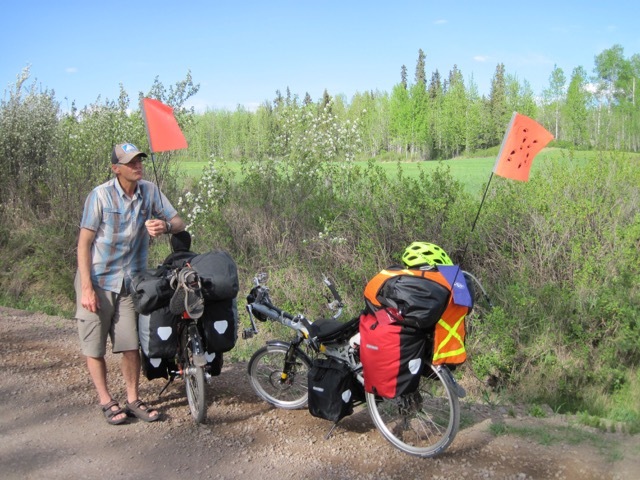 As an ecologist specializing in grizzly bears ecology and human–bear interactions, it was hard not to. Flags were waving all over the place. The official state flag of California has a grizzly bear on it, despite the fact that the Sate of California lost grizzly bears long ago, extirpated actually. In 1911, the Bear Flag, the first official flag of California, was signed into law. The Valley Center Museum reports that grizzly bears were declared extinct (sic) in 1924. That should be extirpated (loss in a particular area) not extinct (permanently lost, everywhere and forever). Ironically, the great bear made a comeback, of sorts, when it was declared the official state animal in 1953. To understand my feelings about this, let me take you back in time. One of my most memorable moments doing grizzly bear research was when I finally reached the ocean in Dry Bay, Alaska. This was after several trips down the Alsek River, pulling out just short of the sea and somehow managing to fly out without ever seeing it. Clouds outside and compromised view inside the plane (imagine heaps of people and gear) must have obstructed my view. The last time I was there we made a quick side trip: we travelled by ATV through subdued forest flatland and then the viewscape exploded onto a sand dune ecosystem that transitioned into a long beach with rolling surf. On the horizon, Mount Fairweather towered above the other mountains. But it was the water bucket sized holes, diggings everywhere, that stunned me most. Wow! Grizzly bear tracks, all over the place, underscored my view. The bruins had been digging for beach carrots, probably for days. Tears welled; hairs prickled (I was not expecting this!). It didn’t matter that I didn’t see bears. In fact, at least some of the potency of that day was in not seeing them. In the 16 years I had been studying grizzly bears, in a wide diversity of ecosystems, I had never encountered anything like this. Just a hint, I thought, of what it might have looked like when the mighty grizzly bears of California still roamed the land. Fortunately, grizzly bears thrive in Glacier Bay National Park and Preserve, Alaska. You can visit the Glacier Bay National Park and Preserve website here for their Science and Research page, including a great resource for bear research and management in the area. Dry Bay, Glacier Bay National Park and Preserve, Alaska: Finding a place like this, grizzly bears and all, was a transformative experience in my life. Mount Fairweather stands watch, peaking above the clouds in the background. 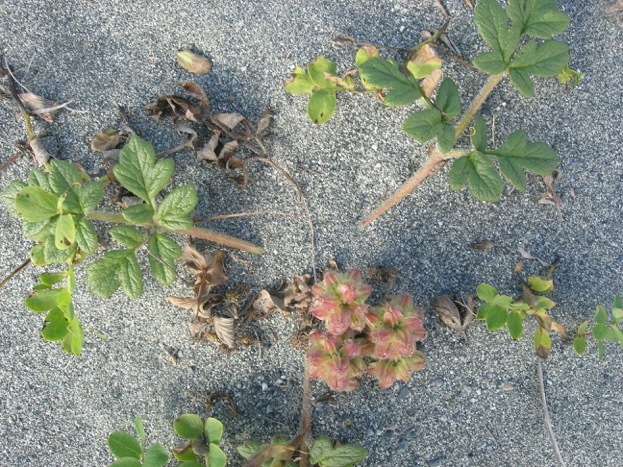 When I was in Dry Bay grizzly bears were digging the roots of beach-carrots (Glehnia littoralis). 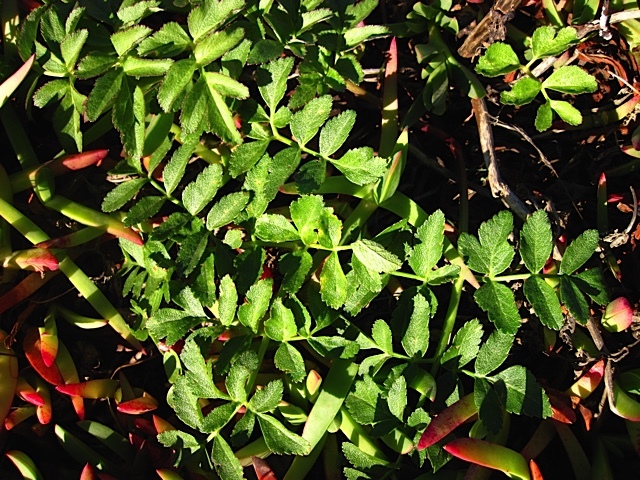 More of the plant’s energy is stored in the roots in spring and fall, when bears eat it most. Note this species has relatively small tops compared to its large tap roots and it grows in sand: the makings of fast food for bears. O.K. just imagine gallon-sized bucket holes dug in the sand: everywhere. Grizzly bears dig the roots of numerous plant species that belong in the carrot family (Apiaceae, formerly Umbelliferae), some of which are deadly poisonous to humans. Beach-carrot is clearly a favourite for bears. Tragically, grizzly bears no longer roam the land in California. As we travelled through California, I was looking for signs indicating what the food habits and habitat use of the grizzly bears that once roamed in California might have been. They’re incredibly flexible (some biologist’s refer to it as plasticity) in their behaviour, depending on what’s available in their environment: kind of like us. 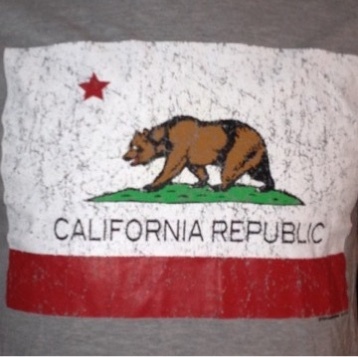 This is a rendition of the California flag on Lothar’s t-shirt, a present from my parents. 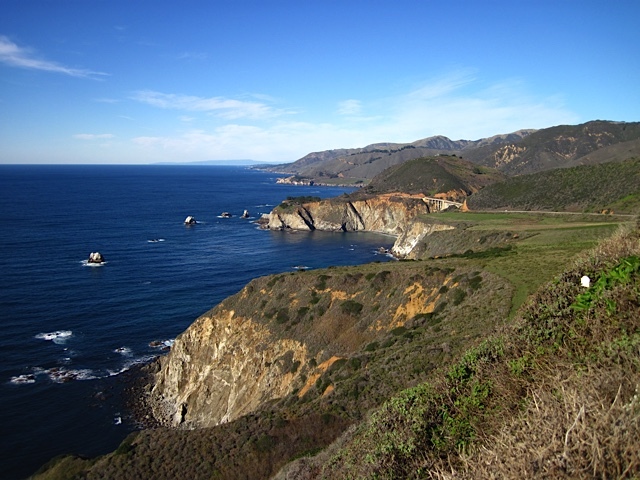 On a whim, Lothar pulled off coastal Highway 1 into a parking lot bustling with people at Piedras Blancas. I was bowled over to find 10s, if not getting into the 100s, of northern elephant seals (Mirounga angustirostris). I was so caught up in surprise, I didn’t even think of estimating how many there were (an oversight out of character for a biologist that counts and measures things). A rolly polly crowd of seals lazed on a pocket beach, just a few metres from admiring viewers strung out along the viewing platform and just few more meters from zooming motorists strung out on the road ahead of them. Why didn’t I see the elephant seals when I drove by here last time, in the late 1980s at the same time of year, I thought? How could I have missed them? Well, according to the Friends of the Elephant Seal, it turns out, they probably weren’t there. We struck up a conversation with a Friends of the Elephant Seal volunteer interpreter, a retired veterinarian. As we chatted on a boardwalk just above the beach, I watched adults grunting, pups chirping; the odd one lifting its head or flipping sand onto itself. Our interpreter enthused a wealth of knowledge about elephant seal ecology, behaviour, and physiology. However outlandish these mammals seem on land, northern elephant seals are well-adapted masters of the ocean. 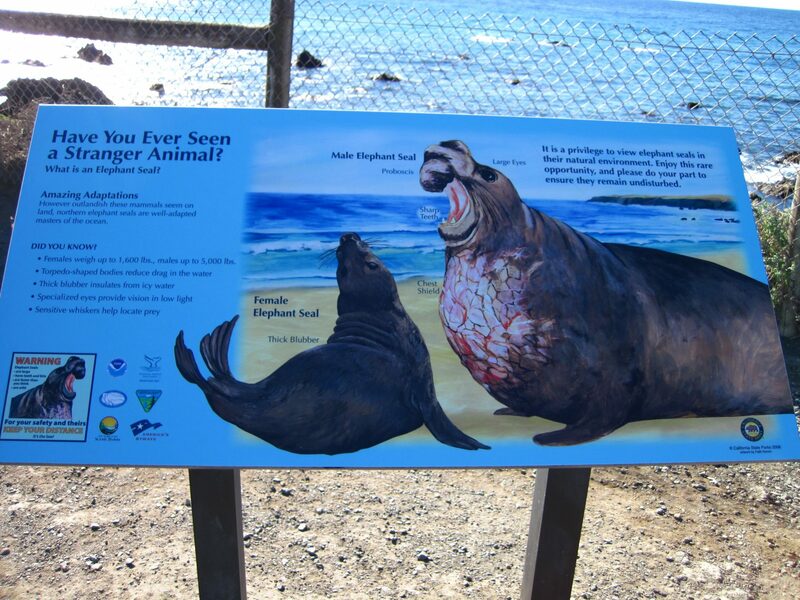 – Interpretive sign for the seal rookery at Piedras Blancas. I was impressed with the quality of the interpretive program offered at Piedras Blancas. 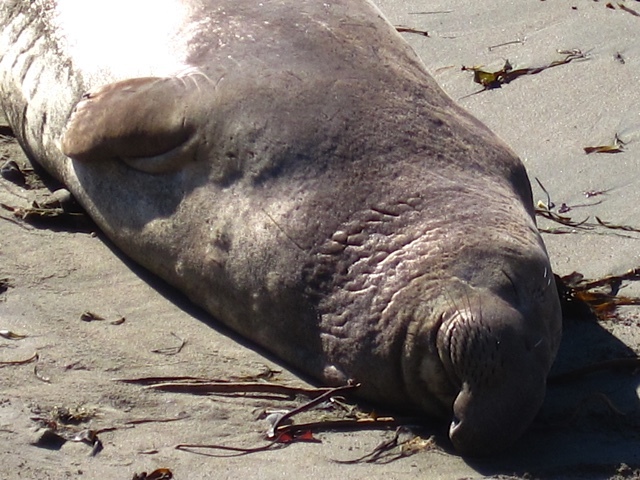 A young male northern elephant seal snoozing the day away at Peidras Blancas. The physiological feats that some species pull off boggles my mind. Intrigued and wanting to know more, I left with lots of questions to look into when I got back home. As we drove away, I wondered (yet again), how did a my enthusiasm get so readily doused in the only animal physiology course that I took in university? Challenging. Yes. But uninspiring? Seriously! I went into this course with all kinds of physiological questions: like Weddell seals (how can they dive so deep and for so long? ), albatross (how can they survive out at sea without fresh water? ), grizzly bears (I had lots of questions.) Instead, we rote learned aspects of physiology that I struggled to find connections with in the world around me. Now, I barely recall what I learned but I bet at least some of it would have come in handy had I found a better way to connect. Northern elephant seals have clearly made a come back and they sure are interesting critters. I see lots of opportunity to compare and contrast the physiology of grizzly bears and elephant seals and explore their recovery. For example, there’s evidence indicating that during the Holocene elephant seas avoided beaches in mainland areas to avoid predators, like grizzly bears! If you want to learn more about Northern Elephant Seals, check out the Earthguide website: Diving the Deep, Elephant Seals. I know relatively little about elephant seals but I do know how to recognize a high quality science communications resource when I see one. I aspire to the standard that these folks achieved. 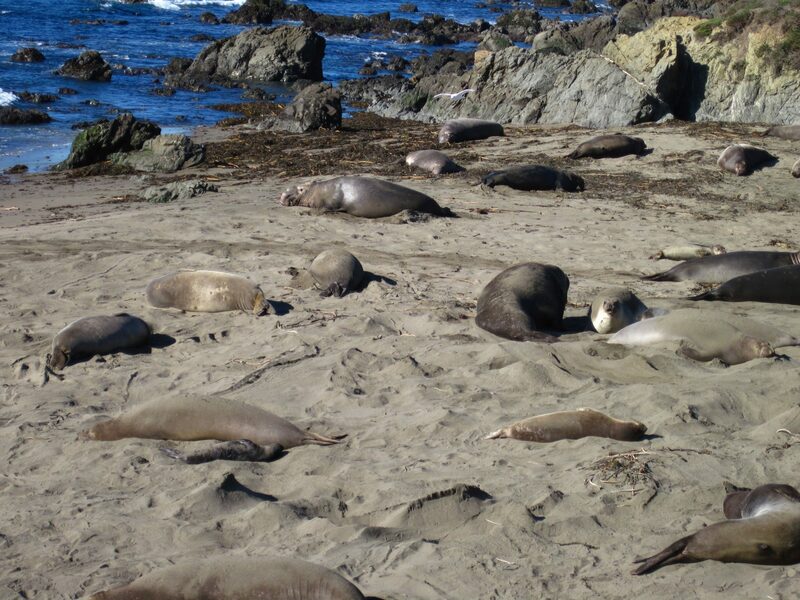 We arrived in Piedras Blancas during the season northern elephant seals give birth. The beach was littered with a variety of shapes and sizes of these captivating sea mammals from females with their tiny wrinkled newborn pups to weaners learning to live without mom’s help to large adult males well versed in power plays. B.C. Ministry of Forests and Range. 2015. 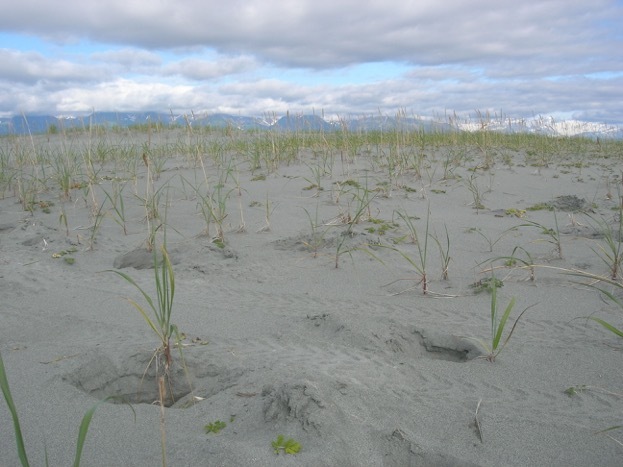 Biogeoclimatice Ecosystem Classification Program, Research Branch, B.C. Ministry of Forests and Range, Victoria, B.C. Website: http://www.for.gov.bc.ca/hre/becweb/ (accessed 23 February 2015). Friends of the Elephant Seal. 2015. Website: http://www.elephantseal.org/Rookery/history.html (accessed 23 February 2015). Mattson, D. and T. Merrill. 2002. Extirpations of grizzly bears in the contiguous United States, 1850–2000. Conservation Biology. Vol. 16. No. 4: pp. 1123–1136. Schoonmaker, P., E. Von Hagan, E. C. Wolf, J. F. Franklin, and P. Marchak (editors). 1997. The Rain Forests of Home: Profile Of A North American Bioregion. Island Press, Washington, B.C.